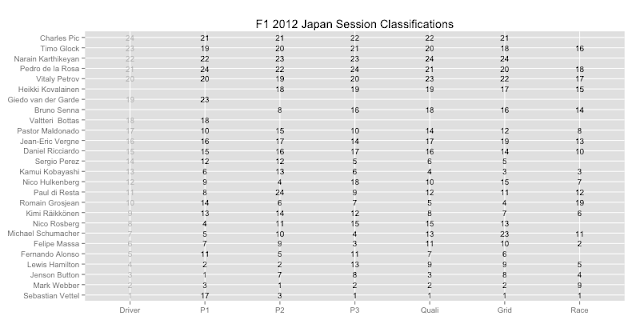 A tabular chart summarising classifications for each driver in each major session of the race weekend. I'm thinking colour might also be useful, but in what dimension? Maybe to highlight grid penalties? 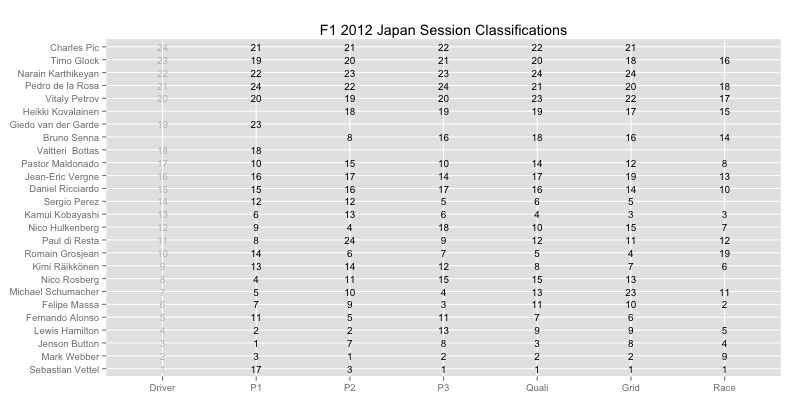 In the race column, where a reason for not finishing is given, might it make sense to add that statement to this column?